Magnificent custom waterfront home with open Tampa Bay views! Located in highly sought after waterfront community of Snell Isle, this home offers the best of both worlds from land and sea. It’s a true boaters paradise with docking accommodations for up to a 70′ vessel and is situated on an oversized lot in a quiet cul-de-sac on Brightwaters Blvd. 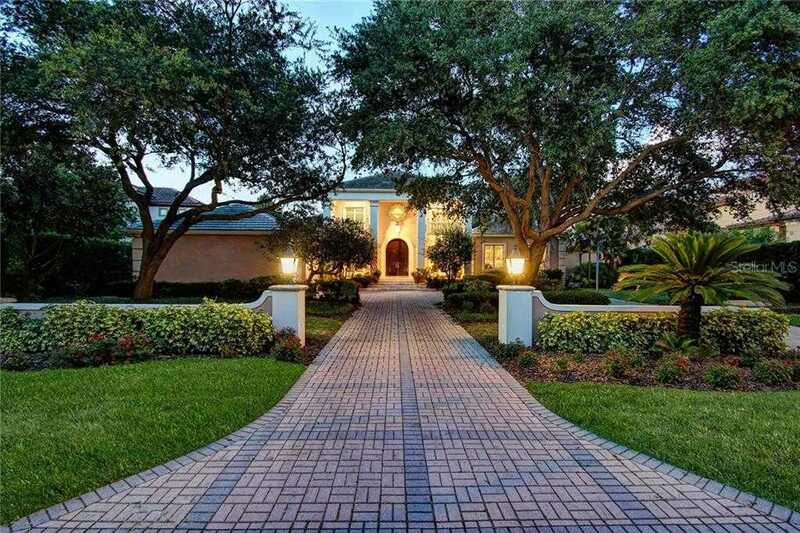 Located only 5-minutes from downtown St. Petersburg, this estate features fabulous architectural details throughout and was built to accentuate sparkling water views from nearly every room. This home has a grand foyer with soaring ceilings and an elegant floating spiral staircase, elevated ceilings, formal entertaining and casual living spaces, a chefs kitchen with granite countertops, gourmet gas appliances and an abundance of cabinetry. The master retreat is located on the first floor and features an enormous walk-in closet. Also located on the first floor is a guest suite/office and a vastly spacious 2 car garage. Upstairs you’ll find three additional spacious en-suite bedrooms with plenty of storage. Outside is an entertainers dream with an oversized pool, spacious yard and a large private dock equipped with electric and water. Conveniently situated on Snell Isle, this home allows for easy access to downtown Tampa, downtown St. Pete and the Gulf of Mexico. Enjoy world-class fishing and water sports. Live the Florida lifestyle to the fullest! Please, send me more information on this property: MLS# U7850476 – $3,250,000 – 2027 Brightwaters Blvd Ne, St Petersburg, FL 33704. I would like to schedule a showing appointment for this property: MLS# U7850476 – $3,250,000 – 2027 Brightwaters Blvd Ne, St Petersburg, FL 33704.